Margaret and Sylvan Adams came on Aliya! Margaret and Sylvan Adams came on Aliya on December 27, 2015. 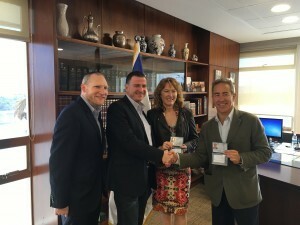 Margaret and Sylvan Adams receiving their Israeli citizenship cards from the Speaker of the Knesset, Yuli Edelstein, in his office.